Today morning at 0559 hrs IST as most of the word slept in deep slumber, the Parsi community (to which I belong) around the globe silently completed One thousand three hundred and eighty four years of setting foot on the Indian Soil. One interesting, perhaps apocryphal Parsi legend relates the course of the initial meeting between Jadi Rana (King of a province called Gujarat in India) and the newly landed Zoroastrian emigrants: When the Zoroastrians requested asylum fleeing religious persecution from their homeland of Persia in his kingdom, Jadi Rana motioned to a vessel of milk filled to the very brim to signify that his kingdom was already full and could not accept refugees. 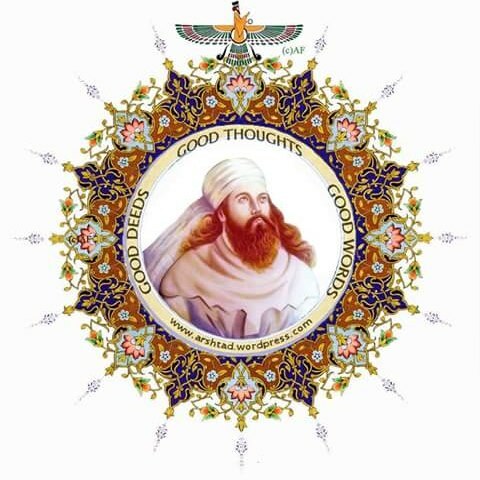 In response, one of the Zoroastrian priests added a pinch of sugar to the milk, thus indicating that they would not bring the vessel to overflowing and indeed make the lives of the citizens sweeter. Jadi Rana gave shelter to the emigrants and permitted them to practice their religion and traditions freely. The Parsis a minuscule community having only 60,000 people in India and a few thousand more the world over are much loved and celebrated by Indians and India as people with high levels of honestly, generosity, philanthropy and a larger than life persona. Following the tenants of Good Thoughts, Good Words and Good Deeds of our prophet Zarathustra, the Zoroastrian religion that we (the Parsis) follow is nearly 3500 years old. One of the oldest in the world. As Parsis the world over celebrate their New Year (1385 Y.Z. ), A Dollop of That! would like to wish all its Parsi readers A Very Happy Navu Varas filled with Good Health, Prosperity and bundles of Good Cheer. May divine light always light up your paths and warm your hearts. 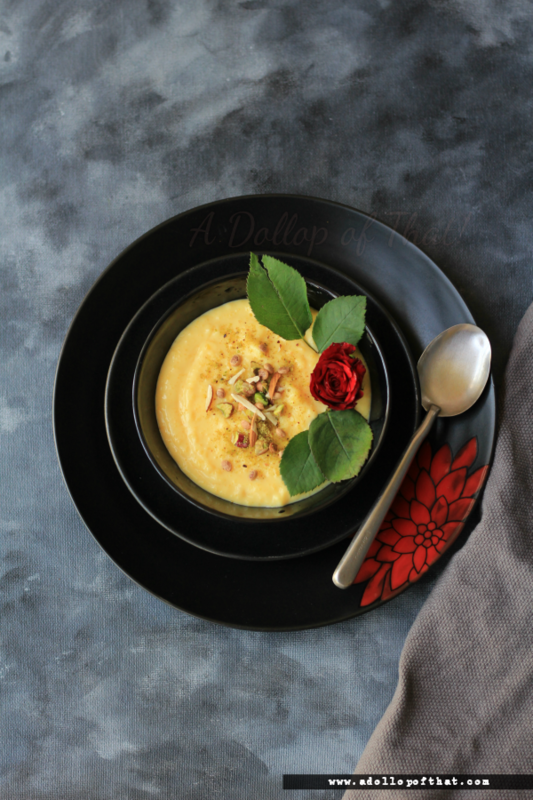 I leave you with a very simple Ravo (milky semolina pudding) recipe which is made by the Parsis on any auspicious occasion to sweeten your pallet, day, and life. 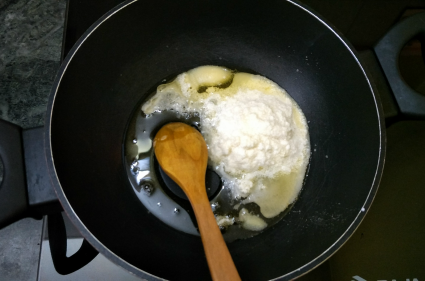 - Soak the semolina (rava) in a bowl of water for 30 minutes. 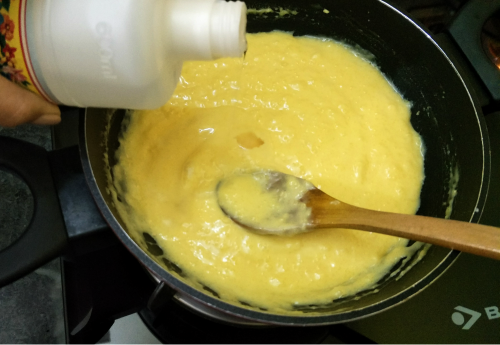 - In a small bowl make a slurry using all of the custard powder and 2 tablespoons of the milk. 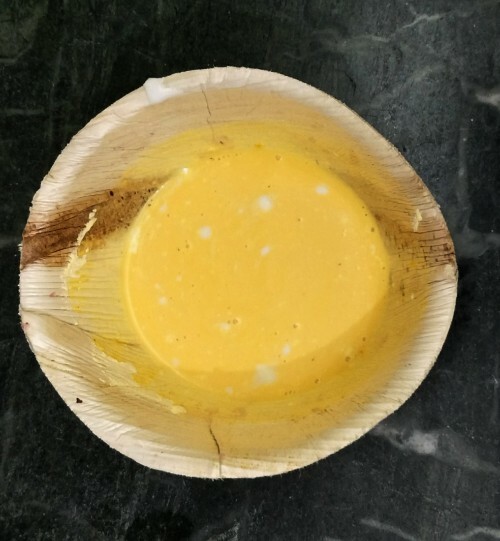 - Heat the ghee in a heavy bottomed wok or pan. 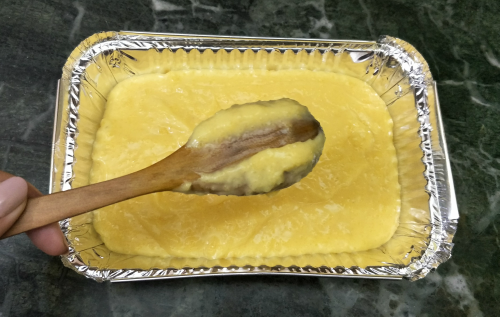 - Add in the soaked semolina and roast on a medium flame till it looses its opacity and turns translucent. - Next add in the sugar and stir with a whisk, eliminating lumps of flour as you go. 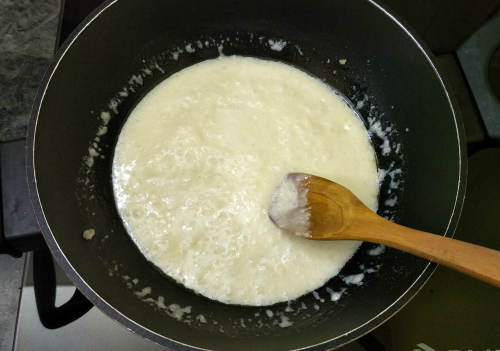 - Now add in milk a little at a time continuously whisking the mixture. 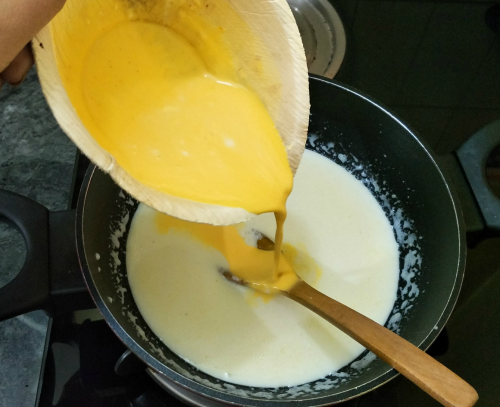 - At this stage add in the custard powder slurry and whisk continuously. - The pudding will start to come together very quickly now. 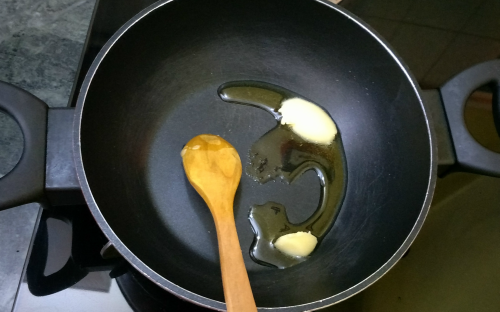 - When all the milk has been added in and the pudding coats the back of a spoon leaving a non vanishing line, your ravo pudding is ready, turn off the gas. 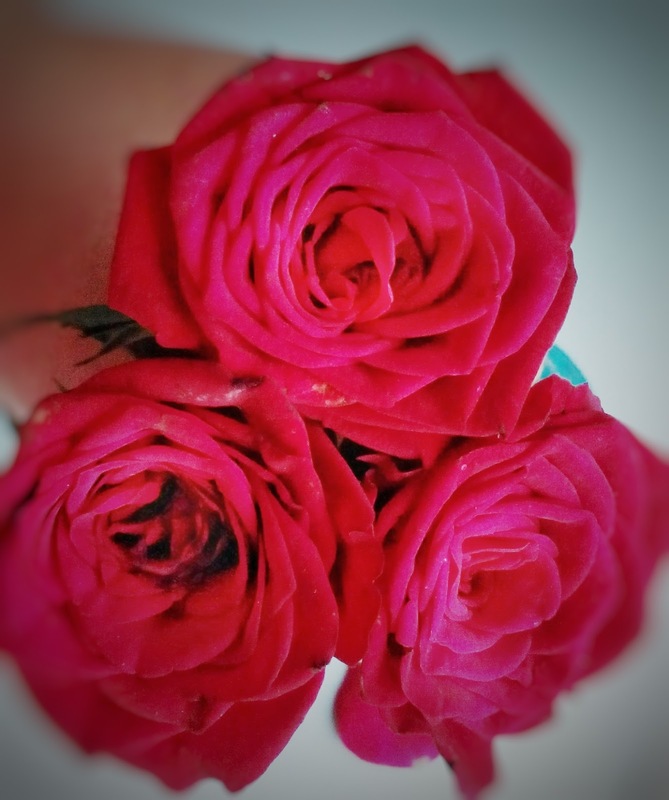 - Add in cardamom and nutmeg powders along with the rose water. 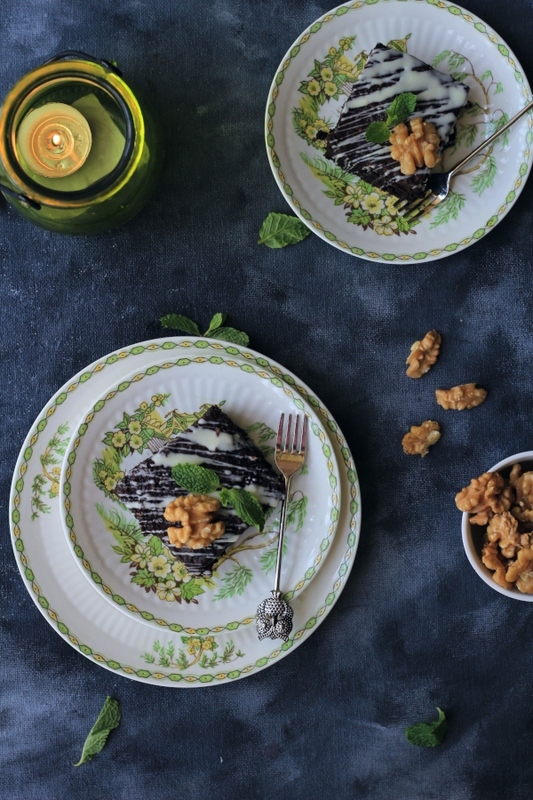 - Garnish with nuts of choice and raisins. Serve hot as breakfast or cooled as a mid day snack.